Love making cakes with Oreos. 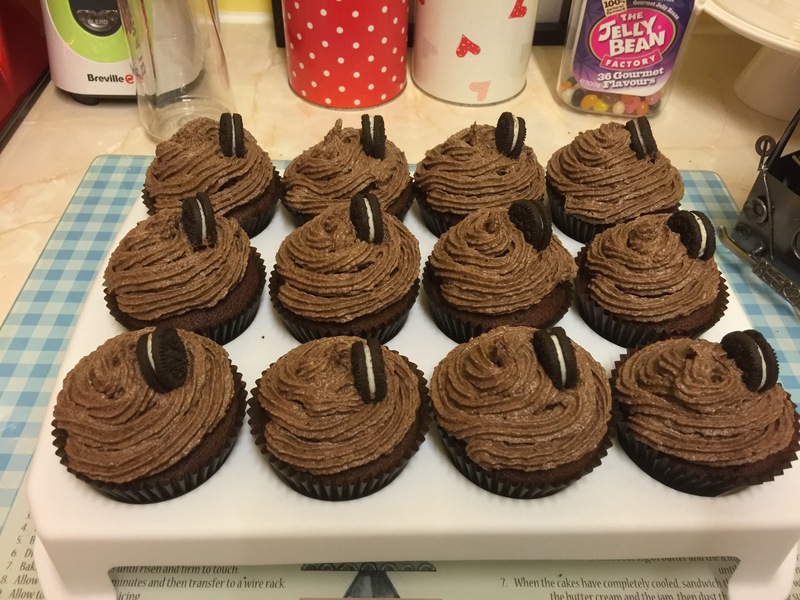 Both the cupcakes and the large sandwich cake are chocolate sponge with Oreo buttercream (whizz up the Oreos and fold into vanilla buttercream). 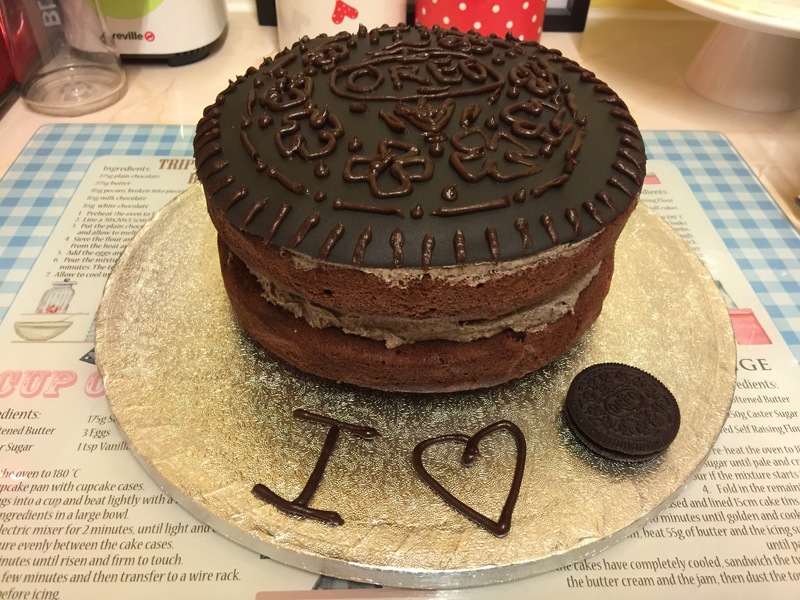 The large cake I finished with black fondant and hand iced the detail to make the cake look like a giant Oreo. Not perfect, but made my work colleagues happy!